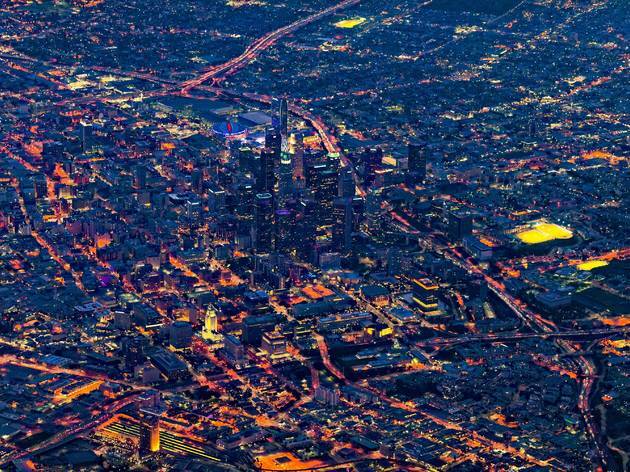 LA, you look great from every angle, especially from above. 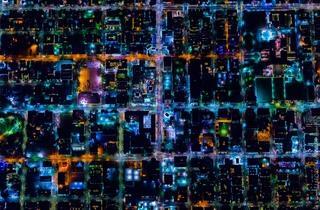 Check out Vincent Laforet's amazing aerial photos of our city. 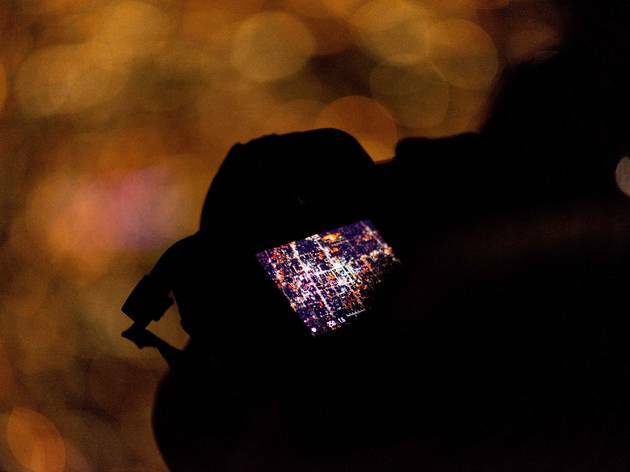 You’ve probably seen some of Vincent Laforet’s photos: crisp, glowing views of Times Square from miles above; sandy shores spotted with vibrant beach blankets; and airports that look like toy towns through the optical trickery of tilt shift lenses. 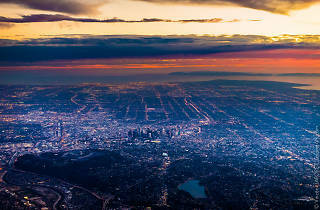 Laforet his taken a bit of that high altitude magic to Los Angeles with his latest batch of images. 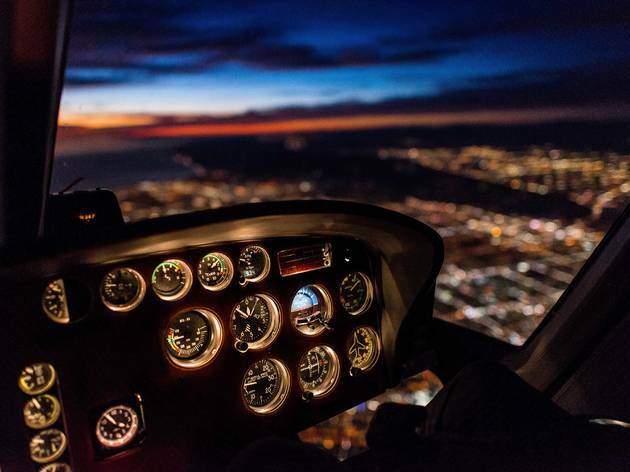 The photographer and director captured Downtown, Hollywood and our infamous freeway interchanges from 10,000 feet in a helicopter—we’re talking leaning out of a window tethered by nothing but a harness at airplane cruising altitudes. 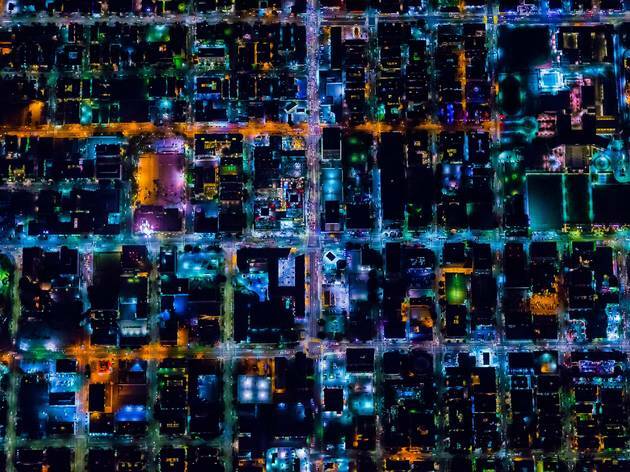 The photos are part of Laforet’s “AIR” series, an ongoing project of aerial photos bound for an upcoming book. Laforet never intended to become that tilt shift helicopter guy. 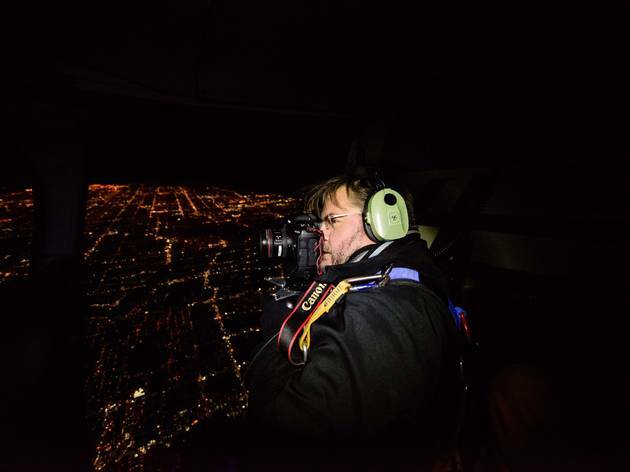 He was a sports photographer originally and took that experience with long lenses into an impromptu aerial assignment for the New York Times. 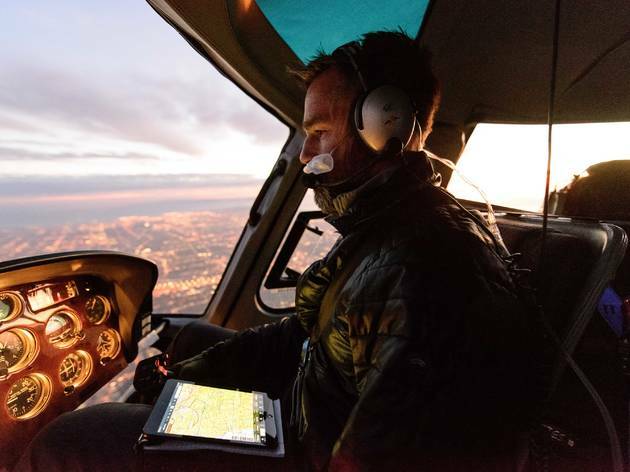 The next thing he knew, he was 10 years and a million flight miles into a career as one of the premiere aerial photographers. We spoke to him about his photos and what makes shooting in LA so different from other cities. 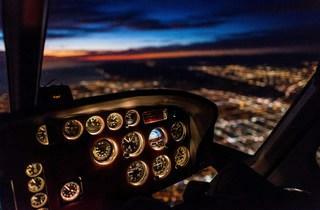 How much do you have planned before a flight? Are you blocking out shots in advance? 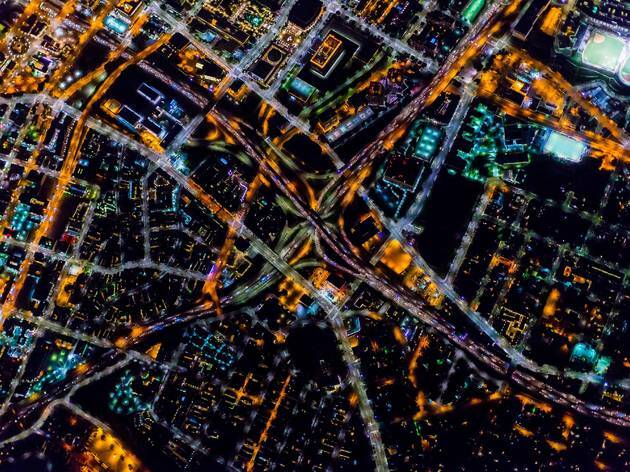 We use tools like Google Earth—it's pretty precise, it's scary. I do research on the cities. I know their topography, I travel a lot. I look for the landmarks, but most importantly, I'm trying to identify what makes each city unique, otherwise the series are going to look the same. 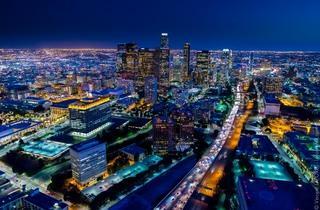 By far the hardest and most intimidating city for me was Los Angeles. 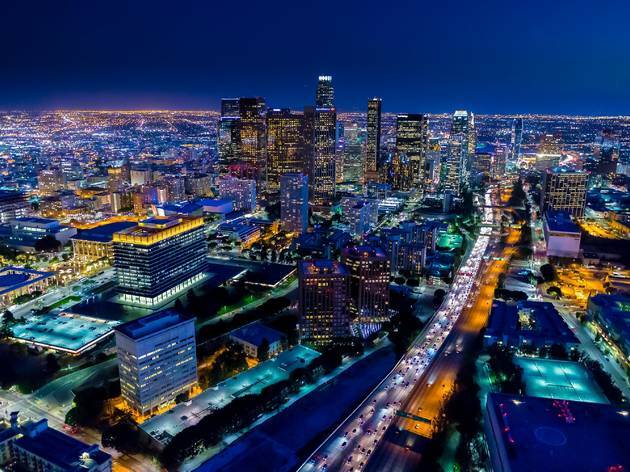 What made LA different from New York, Chicago and San Francisco? It expands almost 34,000 square miles. That's kind of a nightmare scenario for an aerial photographer. You want to focus on things—you don't want large scale because you start to get to the point where you just can't make out what it is. And, what is LA? Is it Downtown? Is it Venice? Is it Beverly Hills? Is it Hollywood? Truth be told, LA is very difficult to shoot. There's not that many skyscrapers, they're all different heights and they’re surrounded by these industrial expanses. The streets are all over the place; they're not rectilinear or in a nice grid. And of course there's the haze. 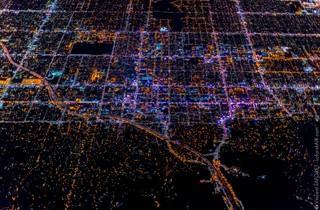 But from very high up, LA takes on entirely new life because you start to see these beautiful color patterns. 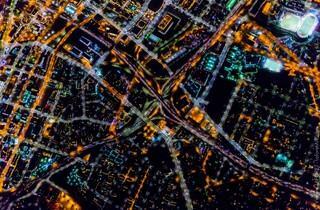 Most cities have two primary colors: blue from the new LED lights and orange form the old sodium vapor lights. LA also has a lot of green fluorescents as well as magenta fluorescents. 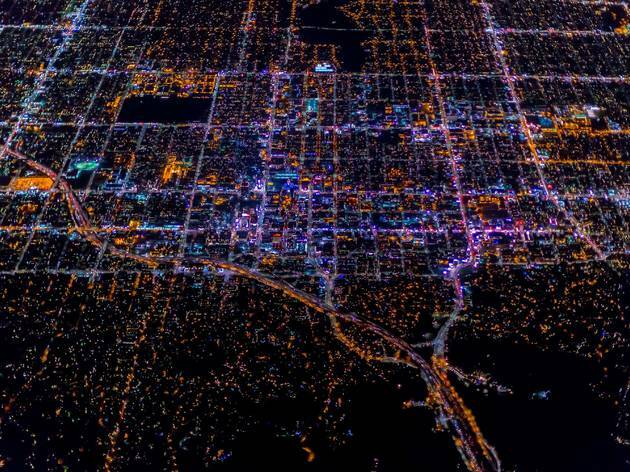 You can actually see the economic divide based on the color of the light. 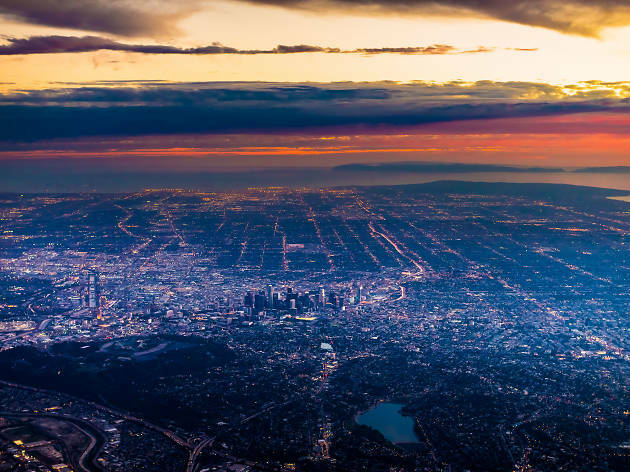 The most surprising thing, though, is how peaceful LA feels from above. 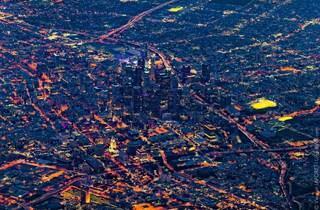 There’s a lot of darkness, too, like in that top-down shot of Hollywood with the hills in the bottom. That's one of my favorites. It almost looks like Texas or the bottom of the US because you have this ridiculous energy and light that comes down like a funnel into the dark hills. 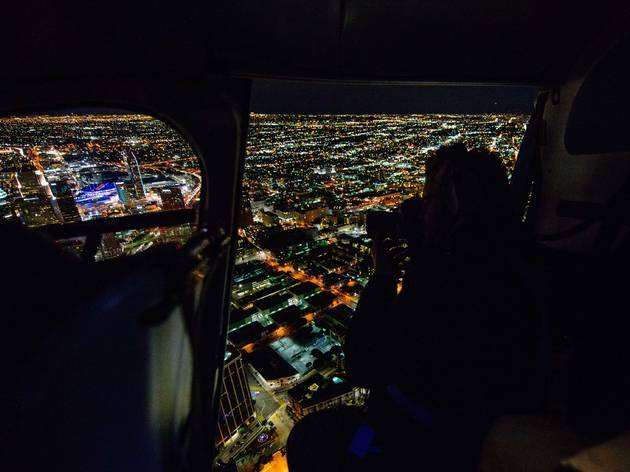 The helicopter pilot I was with, Aaron Fitzgerald, is a veteran Hollywood pilot, and he said, "Vince, I've never seen LA from up here. This is unique." And when a Hollywood pilot tells you that, you pay attention. The helicopter shots in feature length films are rarely from that high up or as visually interesting. But are there any that stick out to you? Samsara, where they followed the cars through the highway, which was beautiful. And the other was Drive, on the opening sequence—I thought was pretty damn good. But those were all shot from 1,500 to 2,000 feet. This is shot from 10,000 feet. The feeling of it is a genuine sense of discovery. For me, it's probably the closest I'll ever get to being an astronaut. You're three kilometers up in the air. It's kind of crazy. Did you see the video? 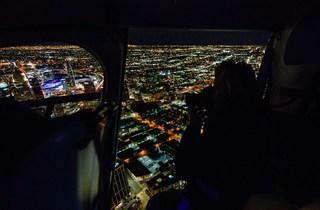 LaforetAIR Los Angeles from Vincent Laforet on Vimeo. Within the first 30 seconds of it you basically lunge out the side of the helicopter. You seem pretty comfortable up there. I flew in a helicopter two months ago with just a regular seatbelt on and the door open, and I felt very uncomfortable. Whereas in a full body harness, I feel at home. I'm more nervous walking on the roof of a two or three story building than hanging out at 10,000 feet in a helicopter. You mention that you settled on the name “Air” because the air is for everyone. But at the same time, flying in a helicopter is prohibitively expensive. It's an interesting contrast, especially in LA where helicopter traffic has become somewhat of a political issue. It's a political issue in every city. What I'm trying to do is to show people that will probably never fly in a helicopter what their city looks like from an entirely new perspective. When you're on the ground, in any metropolis, you feel really small and insignificant, especially underneath these skyscrapers. But if you're up in the air you see that we're not all that far apart. These "borders"—they don't exist. They're man-made. We're a lot more connected than we think. For the majority of people who don't get to go up in the air, is there any way to get that feeling on the ground? Not like that. Listen, being in a helicopter is a near religious experience. You get a perspective—it's mind bending. You don't see differences up in the air. You feel like you're part of a social fabric that is so much more intimate than what you feel on the ground. And at night you don't get lost in studying architecture as much, you get lost more in the energy of the lights. It's kind of like a pulsating beat. Your work almost feels impressionistic in that respect. It's very beautiful and specifically crafted; are you doing all of that in camera or during post production? I'm documenting patterns and geometry. Every single air picture that's online, there is not a single crop. All that I'm doing to these images is bumping up the vibrance, pushing the color balance a little bit towards the blue and I'm pulling down the highlights so they don't blow out. What you're seeing is what's there. That's what's inherently beautiful to me about these images. It's unadulterated reality and it shows you what so many of us inherently take for granted. The full set of Vincent's photos of Los Angeles can be seen here on Storehouse. You can also sign up to pre-order a book on Vincent’s Air series here.